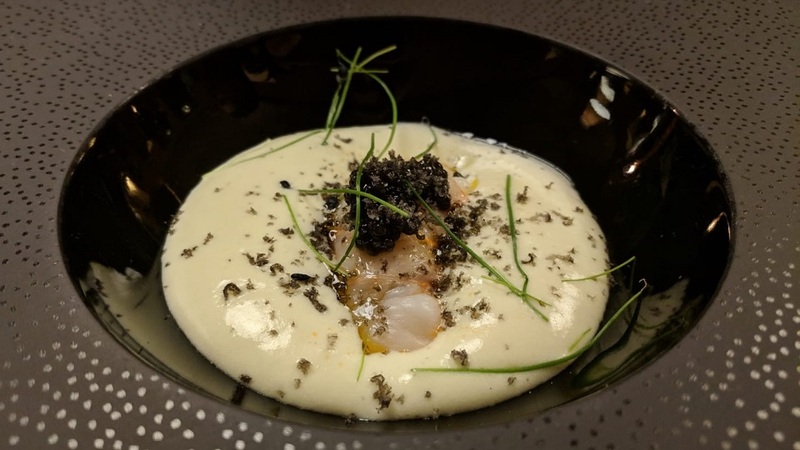 Founded in 1970, San Domenico was one of the first restaurants in Italy to introduce the concepts of refined service and cuisine that remain cornerstones of the dining experience today. Much of the food culture in Emilia-Romagna centers around trattoria-style food. Not that there is anything wrong with that, as well-executed versions of the classics are immensely satisfying. But at San Domenico, you will eat la grande cucina. Chef Valentino Marcattilii was just 16 when he began working alongside Nino Bergese in the kitchen. Seven years later, Marcattilii took over when Bergese passed away. Interestingly Marcattilii’s nephew, Massimiliano Mascia, followed a similar career path. He joined San Domenico at the age of 15 and subsequently supplanted his practical and academic education at restaurants including Vissani and Romano, both in nearby Viareggio, and Osteria Fiamma (founded by San Domenico alumnus Michael White) in New York City and Plaza Athenée in Paris. Needless to say, the handing down of a culinary legacy that goes back to the 1970s is exceedingly rare in today’s day and age. And it is one of the things that makes San Domenico so special. In fact, Mascia himself replied to my request for a reservation. That same timeless elegance comes through in the dining room, where service is friendly and cordial, but never overdone. Natale Marcattilii, Valentino’s brother, looks after the front of the house with the same attention to detail, just as he has done since 1970, although he is now passing the torch on to his son, Giacomo. In other words, it is very much a family affair at San Domenico. Francesco Cioria, a native of Avellino, oversees San Domenico’s extensive wine program. Cioria was gracious to open a number of wines we ordered from this list, although I regret to inform Vinous readers that these were the last bottles of those wines. Plenty of gems remain, however. Dinner starts off with Negroni that provides a much-needed dose of relaxation after a long day. 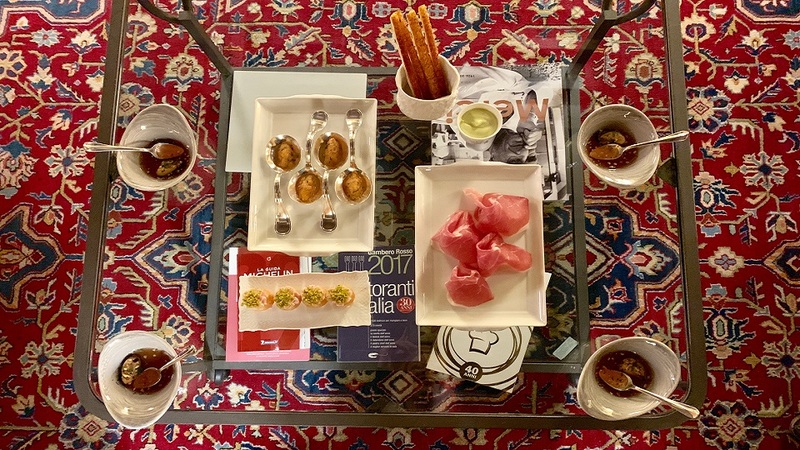 San Domenico’s assortment of hors d’oeuvres, served in the bar area, are superb. We devour a plate of prosciutto and immediately ask for seconds. 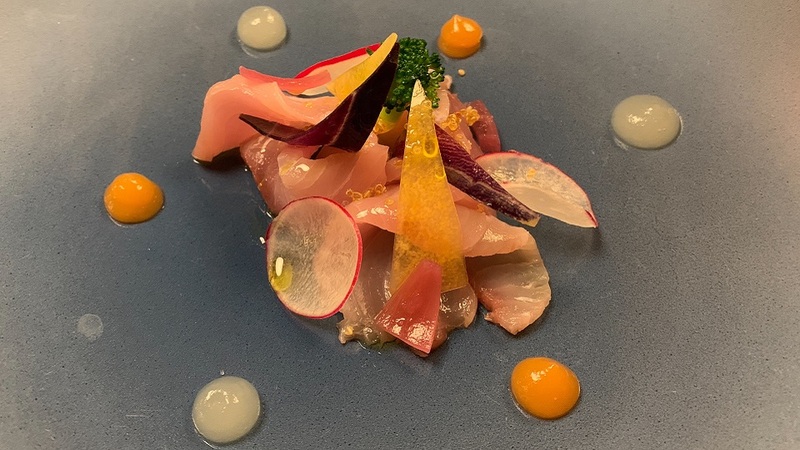 San Domenico offers a choice of à la carte dining and tasting menus. We chose the menu of Valentino’s Classics. How could we not? The gnocchi with shellfish ragù is too tempting to pass up, so we add that, and then substitute the ricciola crudo for the foie gras. Then, it's off to the races. The Ricciola Crudo is refreshing, light and a perfect starter. I also adore the Scampi and Siberian Royal Caviar, which is much more decadent, heady and also absolutely delicious. 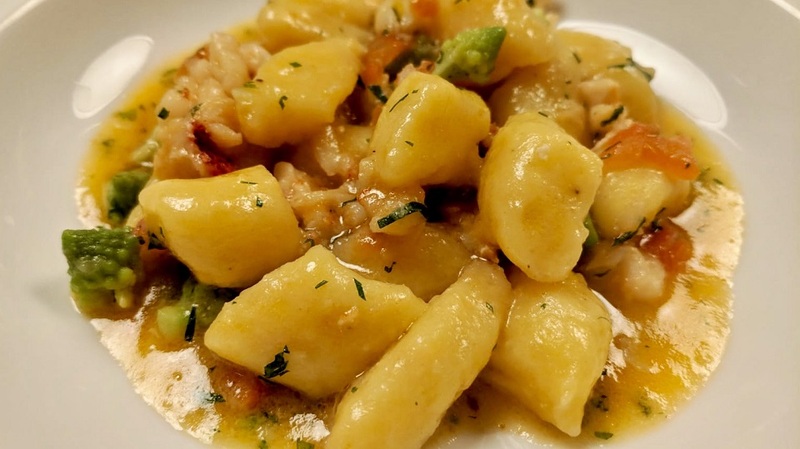 Potato Gnocchi with Shellfish Ragù and Tarragon are luscious and full of ocean flavors. 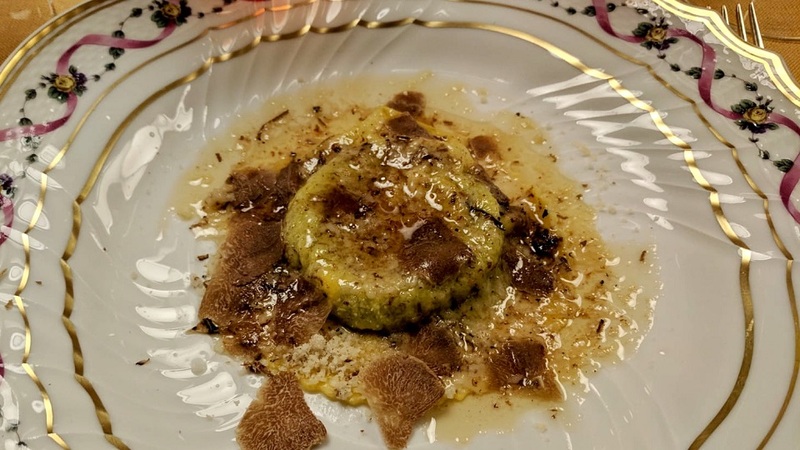 San Domenico’s flagship dish, a large Raviolo filled with a raw egg that poaches inside the pasta, topped with browned mountain butter and a lavish serving of truffles, more than lives up to its reputation. It is every bit as hedonistic as it sounds, and probably not the best choice for anyone concerned about calories. The Pork Saddle secondo is very good, but it’s hard to top the ravioli. Thankfully desserts are on the lighter side. No problem. This is an easy list to navigate. How about the Giovannini Moresco 1974 Barbaresco Pajorè? That is not exactly a wine you see every day. The vines now belong to Angelo Gaja, but in the 1970s Enrico Giovannini Moresco made a series of Barbarescos that remain icons. The 1974 is delicate, perfumed and light on its feet – the essence of aged Nebbiolo and a perfect wine for the first courses on the menu. We follow that up with Giuseppe Rinaldi’s 1978 Barolo Riserva Selezionata Brunate, a wine that captures all of the intensity, depth and virile power that makes this vintage so compelling. The 1978, which was made by Battista Rinaldi, is simply monumental. What a treat it is to savor a bottle over several leisurely hours. Readers who want to learn more about the history of the Riserva, a wine that is no longer commercially released, may enjoy this article from a few years back. 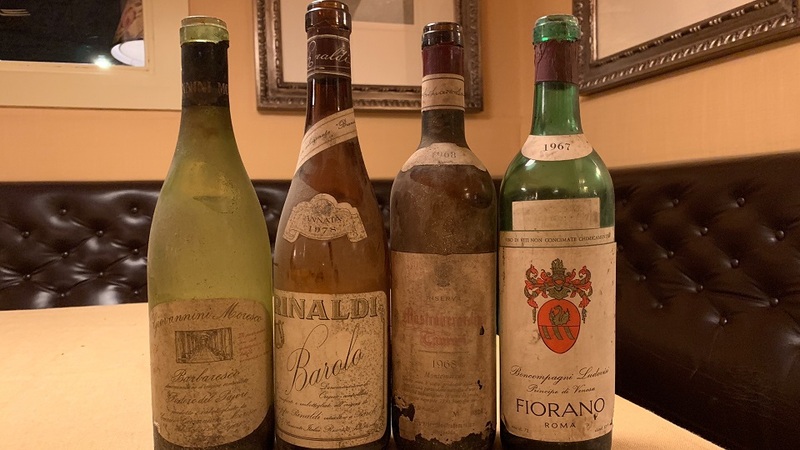 Italian wine fans know that 1968 is an iconic year for Mastroberardino and the only year in which the estate produced a bevy of stunning wines, including three single-vineyard Taurasi Riservas from the Montemarano, Castelfranci and Pian d'Angelo districts. The 1968 Taurasi Riserva Montemarano is still in great shape, with plenty of the earthy, feral notes that make Aglianico and Taurasi so distinctive. This bottle shows a bit of volatile acidity, but that is not enough to detract from its purebred character. The 1968 Montemarano brings back a flood of memories from a remarkable vertical with Piero Mastroberardino in 2013 that featured wines all the way back to 1928. Cioria is thrilled to see a wine from his native Avellino show so well next to two Piedmont heavyweights. So am I. What a wine! The 1967 Fiorano Rosso is a bit more rustic than the other wines on the table, with plenty of savory and earthy character. Although the 1967 is not particularly elegant, it has aged very well. 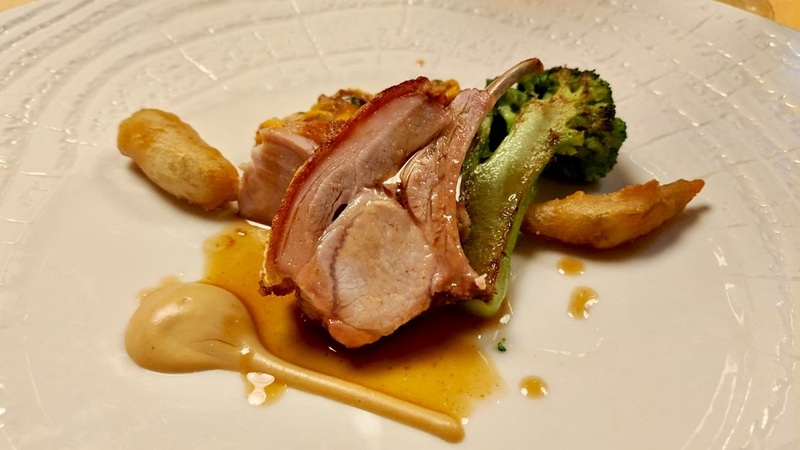 Readers visiting Emilia-Romagna must make a point of having at least one meal at San Domenico, although the truth is that lunch or dinner makes the 45 minute drive from Bologna worth the trip alone. I would like to thank my generous hosts for a wonderful and truly unforgettable night.